Blue Lace Agate is said to a wonderful healing stone. It’s soft energy is cooling and calming, bring peace of mind. 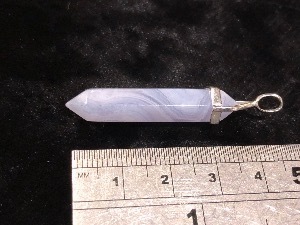 Blue Lace Agate is also said to used in enhance sound healing. It may focuses and directs sound to the appropriate place. 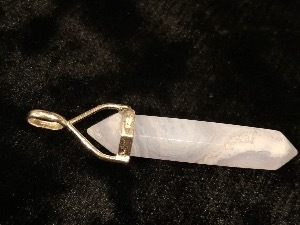 Blue Lace Agate is said to be a powerful throat healer. It's property of counteracting blocking self-expression it may release shoulder and neck problems, thyroid deficiencies, and throat and lymph infections. It may lower fevers and removes blockage of the nervous system, and may treat arthritic and bone deformity, strengthening the skeletal system and healing fractures. It also to may aid capillaries and the pancreas.